Happy Monday! I hope everyone had a great weekend and for those who celebrate, a nice Mother's Day! We had great weather this weekend and another warm day today so I am taking advantage of the nice weather and grilling once again especially since it is supposed to get cold later on this week. 50's? In the middle of May? Ugh. Anyway, this Grilled Firecracker Chicken was the perfect mix of sweet and spicy and was great served over rice. It was delicious! Place chicken into a Ziploc bag. In a large bowl whisk together brown sugar, wing sauce, sriracha, salt, vinegar, minced garlic, red pepper flakes, and water. Take about 1/4 cup of the mixture and pour over chicken. Marinate for at least one hour but the longer the better. Save remaining marinade, cover, and refrigerate. Grill chicken over medium high heat for 7-8 minutes per side or until juices run clear. 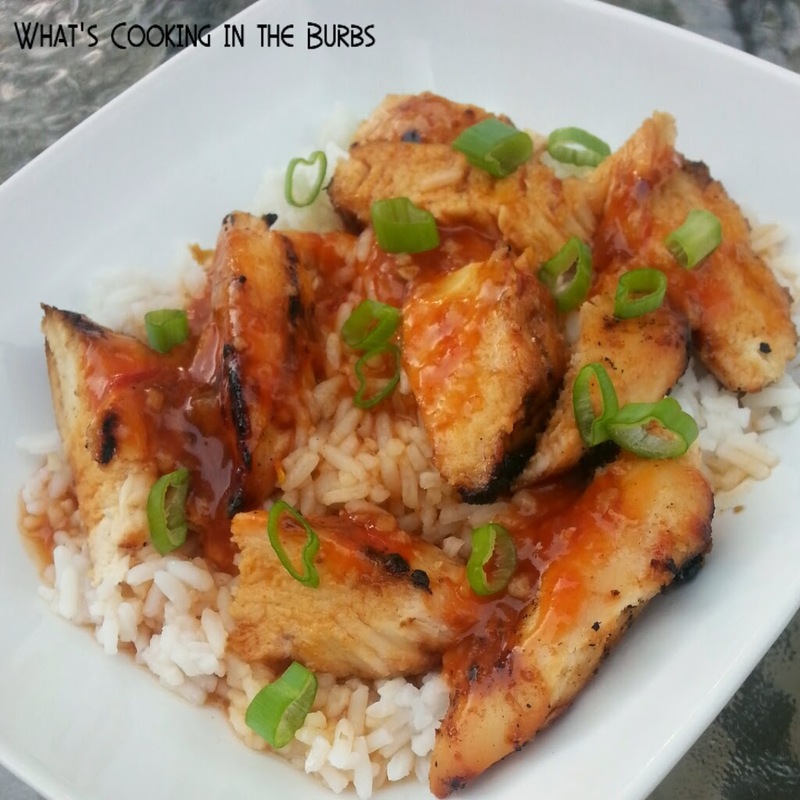 Remove chicken from grill, slice, and serve over rice. Heat remaining marinade and pour over chicken. Enjoy!